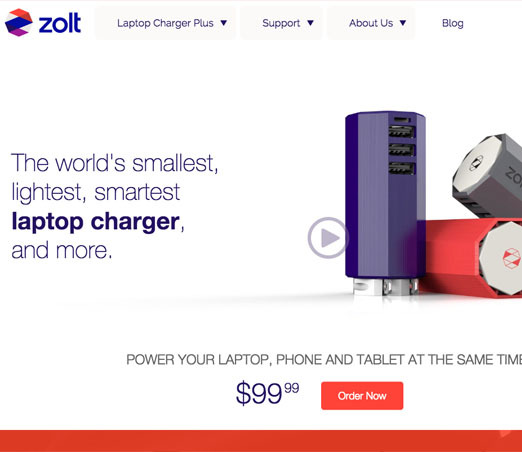 Zolt is the world’s smallest, lightest, smartest laptop charger, and more. Power your laptop, phone and tablet at the same time. 4x Smaller. 3x Lighter. Forget the heavy bricks and multiple chargers you've been lugging around. 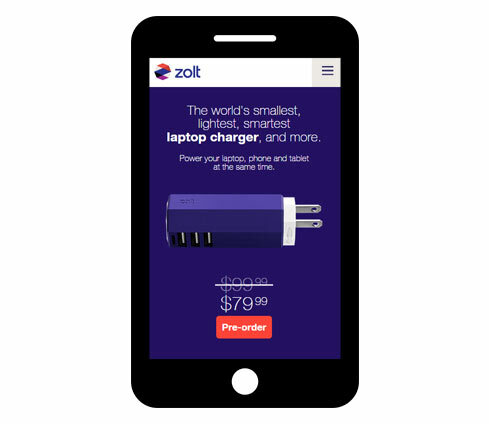 Zolt delivers streamlined, intelligent charging for life on the go. 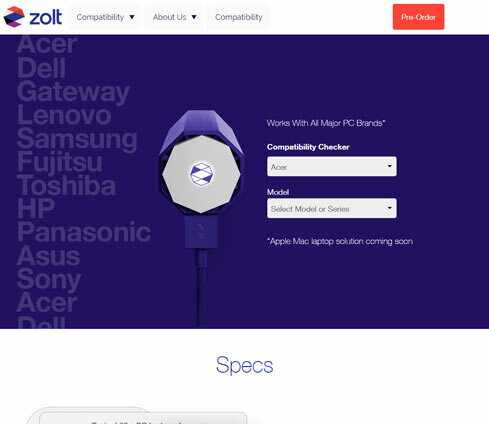 Just in time for the 2015 Consumer Electronics Show (CES) in Las Vegas, we launched the Zolt Laptop Charger Plus website. 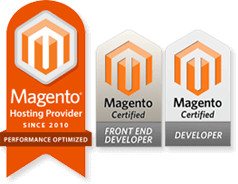 With parallax scrolling features on the home page and Magento CE powering ecommerce, the responsive design introduces and showcases the world's smallest and lightest laptop charger. We can't say enough good things about the Neoverve team.